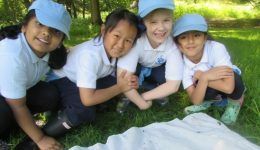 Our newsletters are published monthly and are packed with details of events, work and experiences enjoyed by the children. Latest news is always available on the website and we tweet and use Facebook regularly. To read our Oak-Tree Group Newsletters click here.